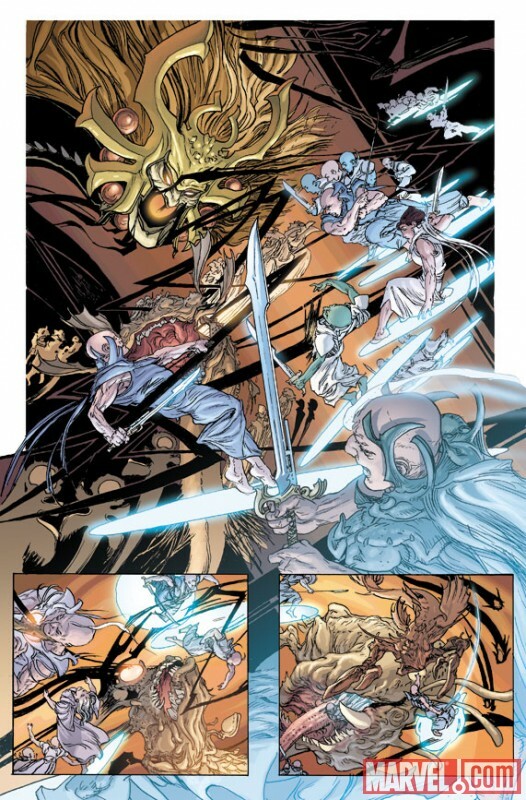 The good folks at Marvel Comics have provided us with a sneak peak at the first issue of Chaos War: Chaos King #1. Do yourslef a favour and click on the images to enlarge. Here be some incredibly pretty art by William W.M. 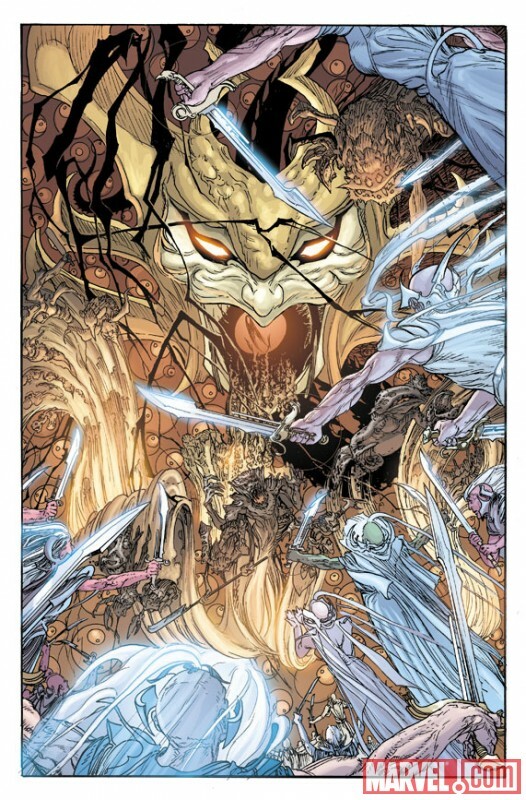 Kaluta. 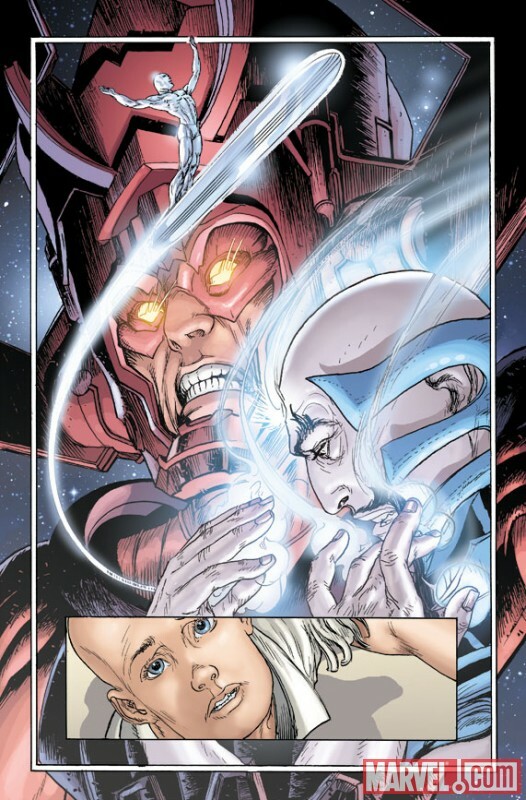 Written by Brandon Montclare and with art by the aforementioned artist Michael W.M. 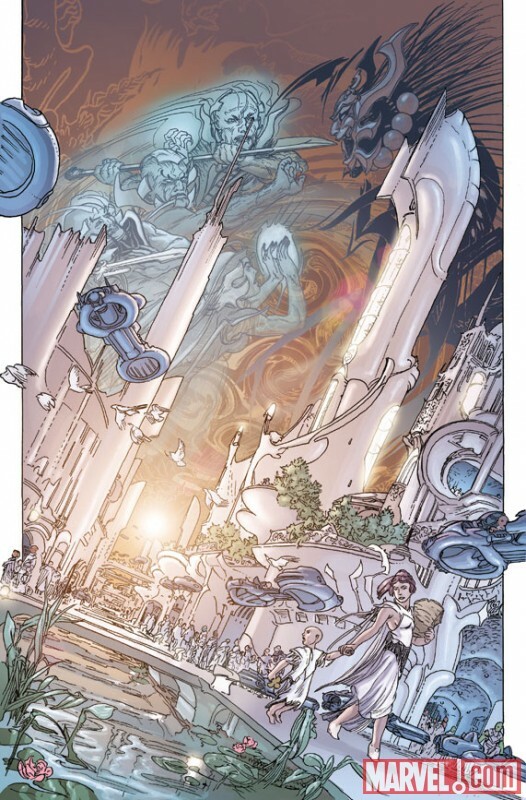 Kaluta Chaos War: Chaos King #1 travels to Zenn-La, the homeworld of the Silver Surfer. The Chaos King has the planet in his sights and their only hope is the unlikely hero, the Impossible Man. 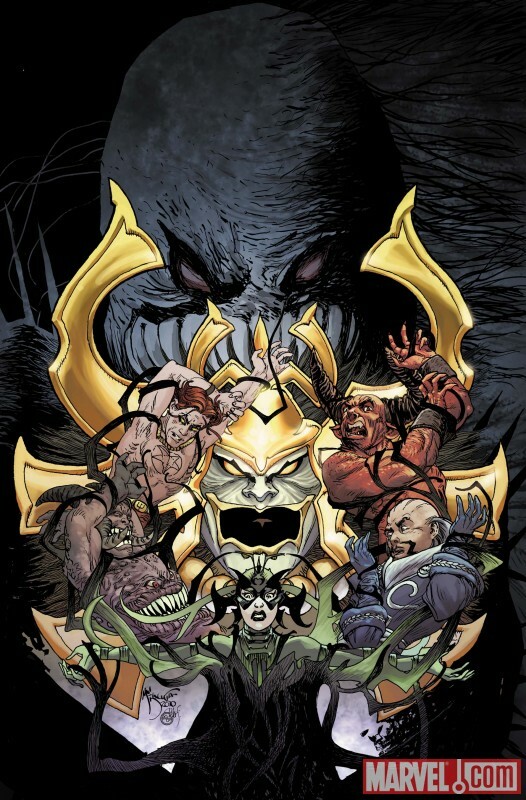 Chaos War: Chaos King #1 will be instore in November.